We’ve arrived at Day 3 of Kids Week! Have you been following along? 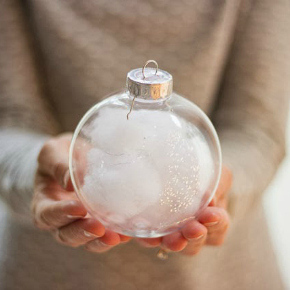 I have to admit, these crafts are equally fun for adults to make…I know from hands-on experience! 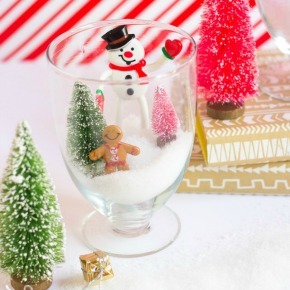 Check out the end of this post for lots of other simple Christmas craft ideas. 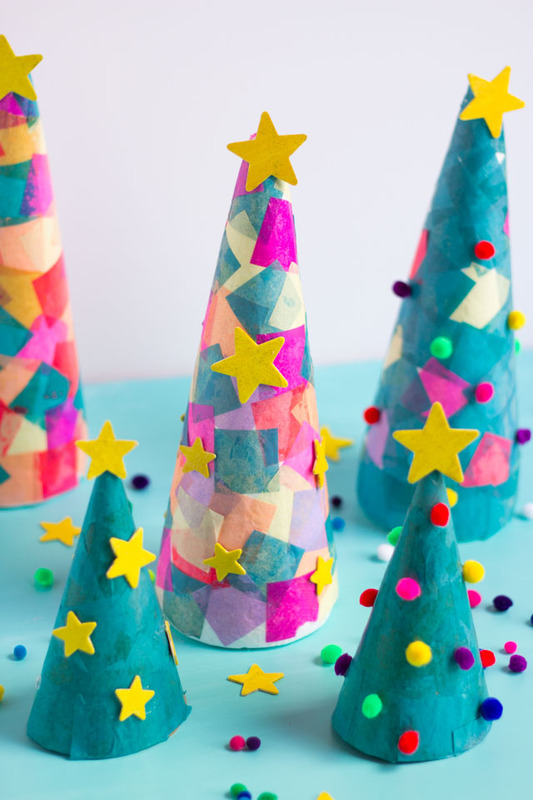 Today we are turning foam cones into colorful Christmas trees in partnership with Oriental Trading. 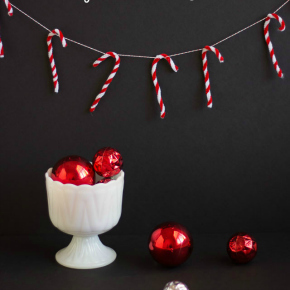 I bet you have seen cones used as Christmas trees before – there are lots of clever ways to decorate them. This particular project uses pre-cut tissue paper squares and Mod Podge, making it particularly fun (and easy!) for kids. My number one helper Stella got to work covering her cone with tissue paper squares. 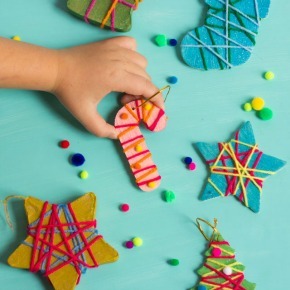 I think decoupage with Mod Podge is a great technique to try with kids. 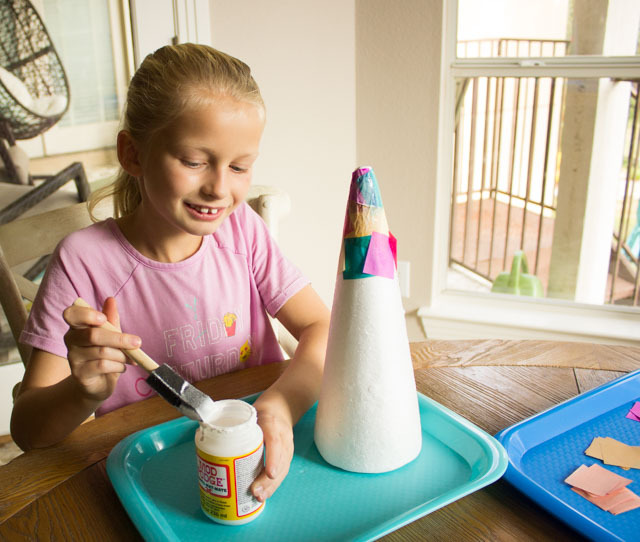 Just smooth some onto the cone with a foam brush and press the tissue paper squares on top. Paint another thin layer of Mod Podge on top to seal. It’s magic to see how the trees look after the glue is dry! 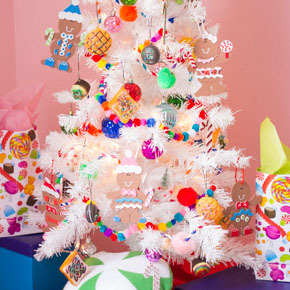 We finished off our trees with pom-pom ornaments and a little gold star on top. This technique also works with cardboard cones, which we used to make the smaller green trees. 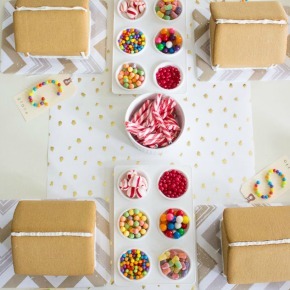 These tissue paper squares are a great craft supply to have on hand for kids crafting sessions. I have used them to make these confetti mason jar lanterns as well. I am also a big fan of these sturdy and washable craft trays to help corral their creative mess! 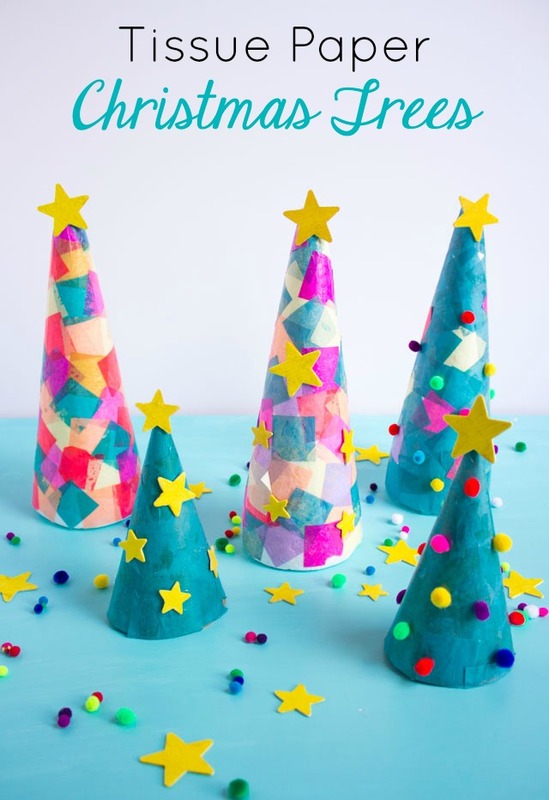 Head to Oriental Trading’s Fun365.com for the step-by-step tissue paper Christmas tree tutorial and a full list of supplies!